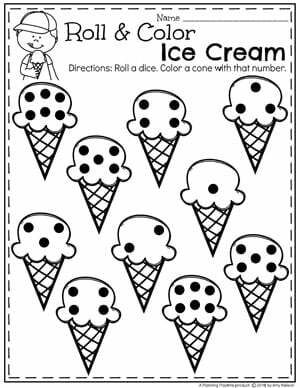 Do you teach an Ice Cream Theme at your preschool? 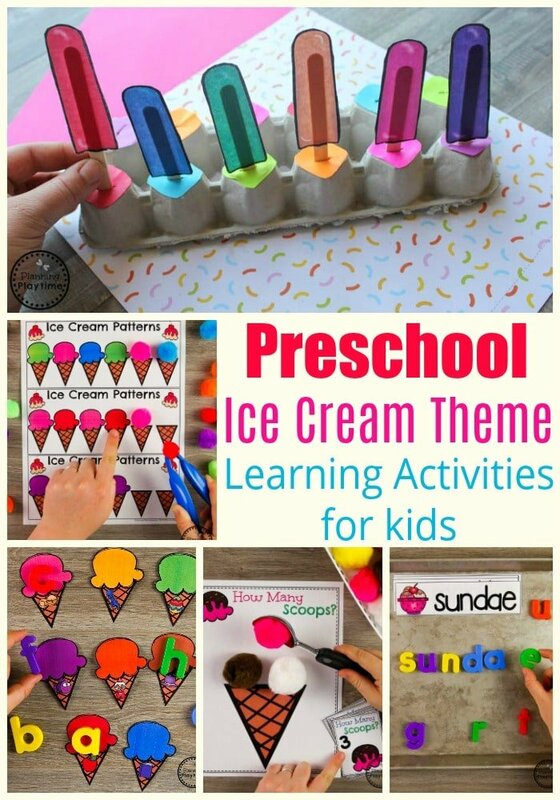 If so, you’ll want to check out this fantastic collection of themed learning activities that are full of fun ice cream and frozen treat fun. 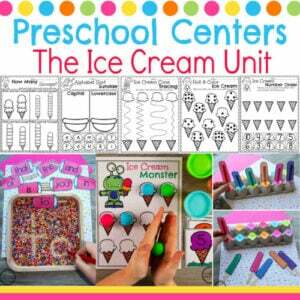 The set comes with 16 ice cream theme centers that work on math, literacy, fine motor skills, colors and more. 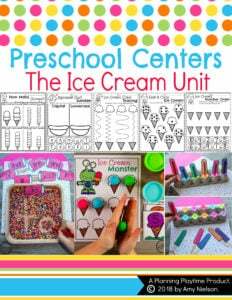 The kids will love playing and pretending with “ice cream” as they work their way through these projects and learn. 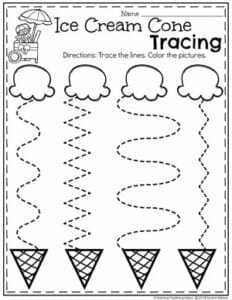 I also created 15 black and white, no-prep worksheets for extra practice. 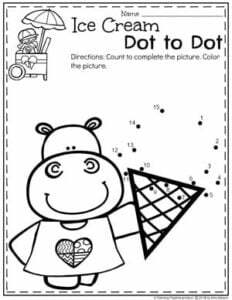 These worksheet activities include things like name spelling practice, cut and paste counting, and ice cream dot-to-dot, tracing and more. 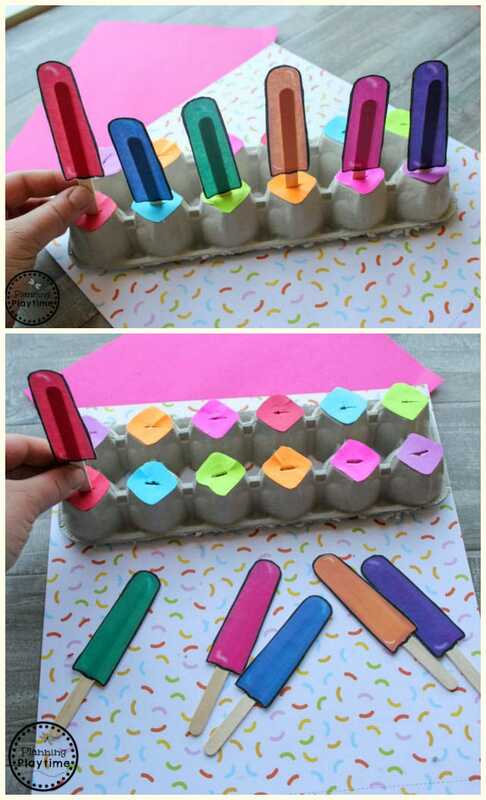 Use and egg carton to make a colorful Popsicle tray. 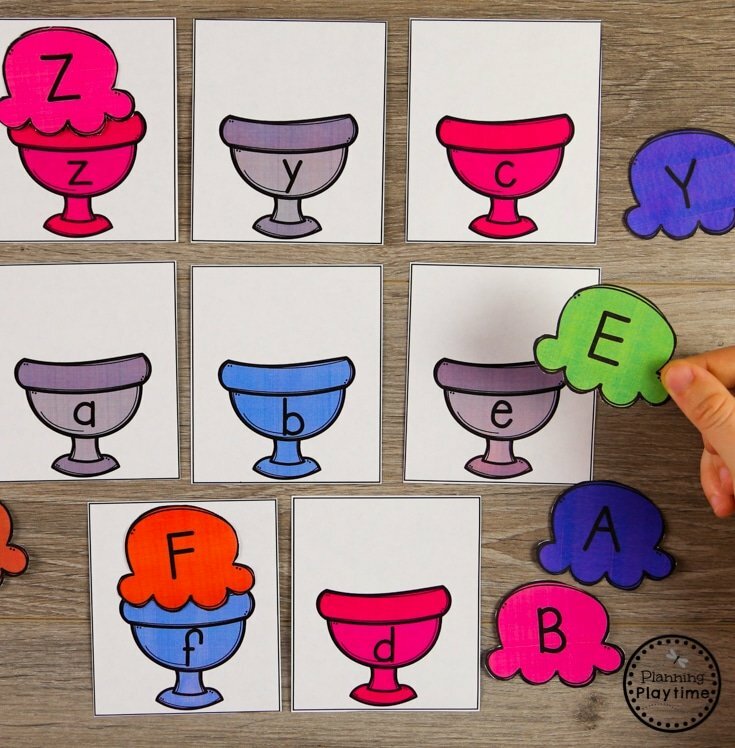 Kids will love this fun, fine motor activity that teaches color recognition and matching. 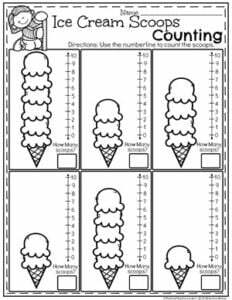 Measuring Ice Cream ConesNon-standard measurement is an important early math skill. 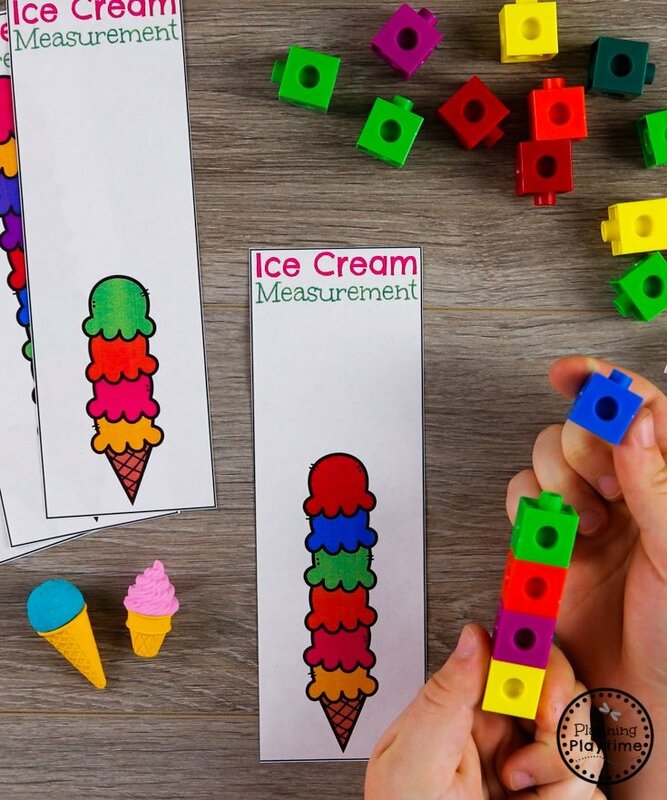 The kids can work on that hear by measuring how tall each ice cream cone is using snap cubes or blocks. This may be the center to fight over. 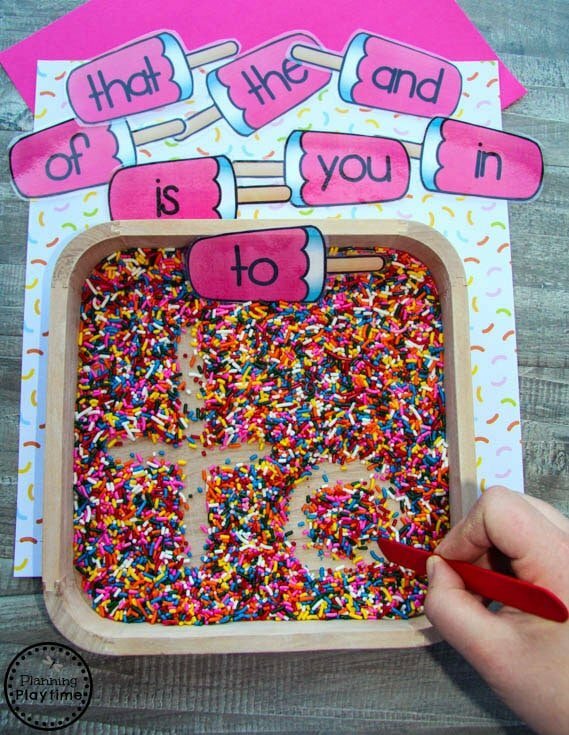 Writing in sprinkles?? That is just too fun. 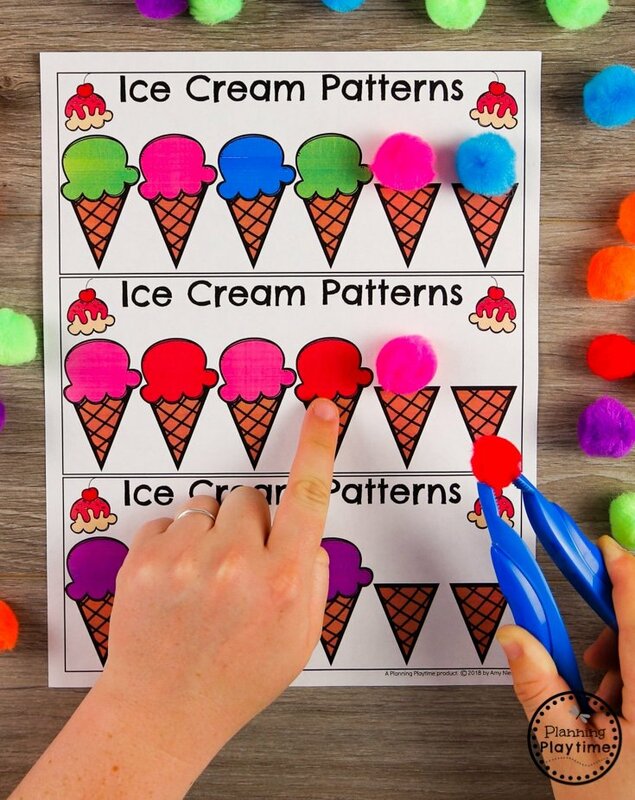 If you are working on patterns, this activity is a lot of fun. 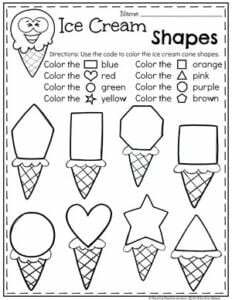 It also doubles as fine motor practice as kids pick up and place the ice cream scoops. We made our ice cream scoops out of pom poms but playdough or buttons would work great as well. 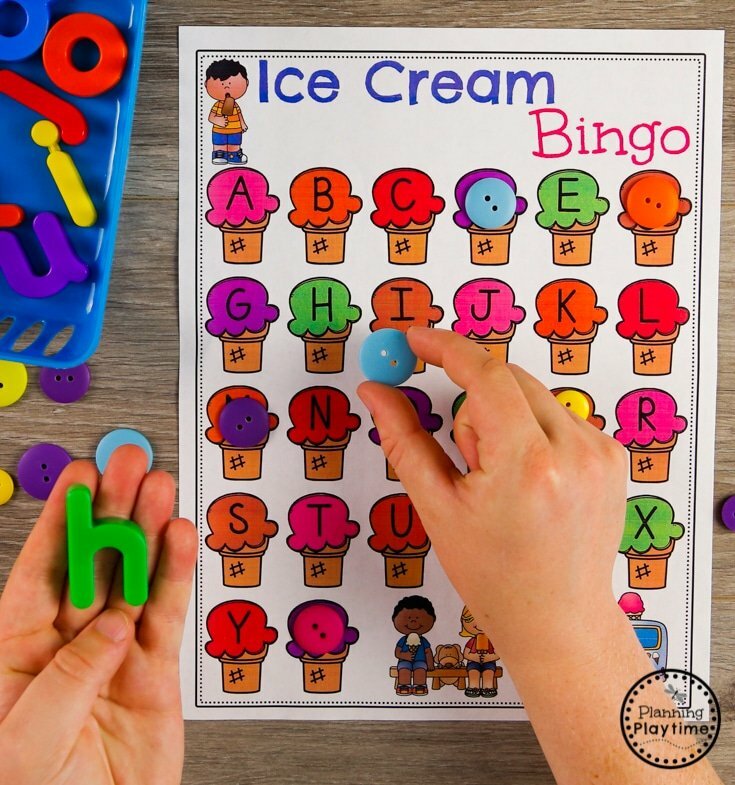 You will need your favorite magnetic letters and buttons to add to this ice cream themed letter bingo game. Pick a letter from the basket and cover that cone. 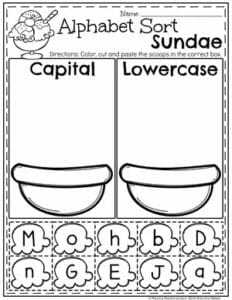 Match the upper and lowercase letters to serve up this ice cream one dish at a time. Make your own ice cream cone with playdough. The catch? Can you make it in this shape? 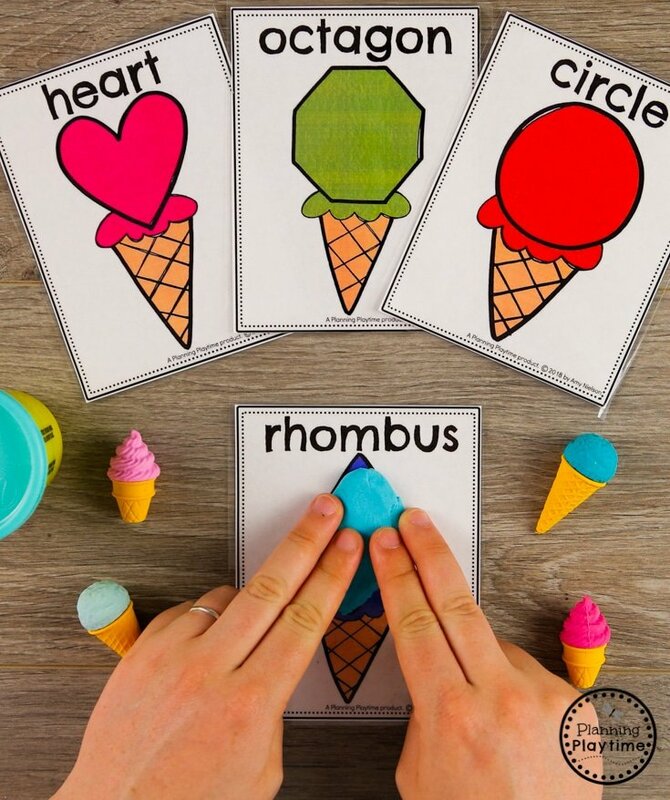 What a fun way to practice and learn about 2D shapes. 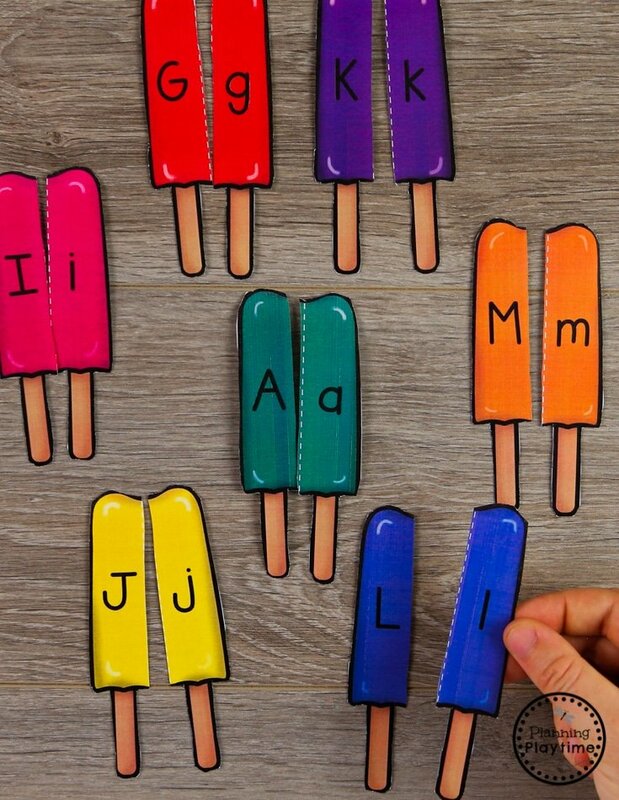 The kids can pretend to work in a Popsicle factory as they match upper and lowercase letters together to complete these yummy treats. 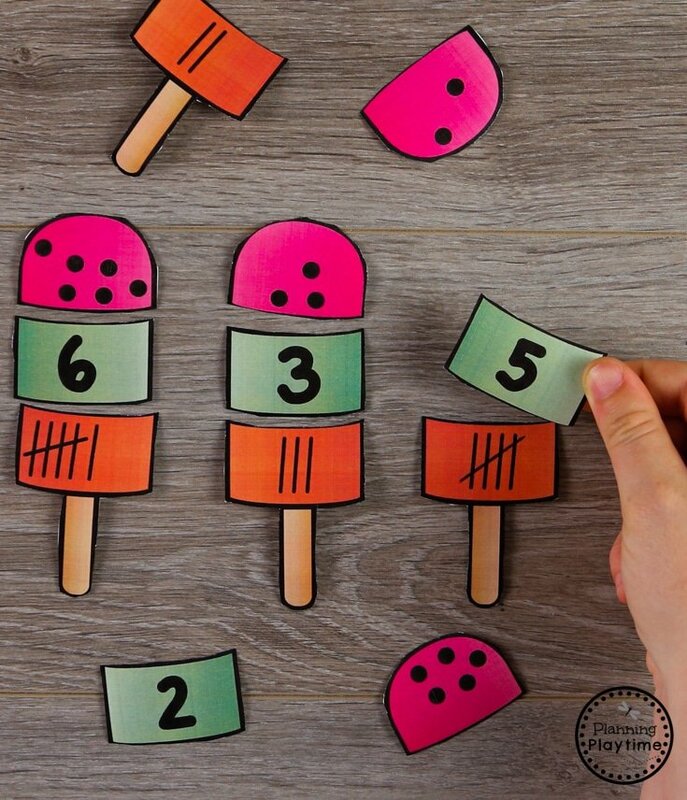 This activity combines fine motor goodness with counting. 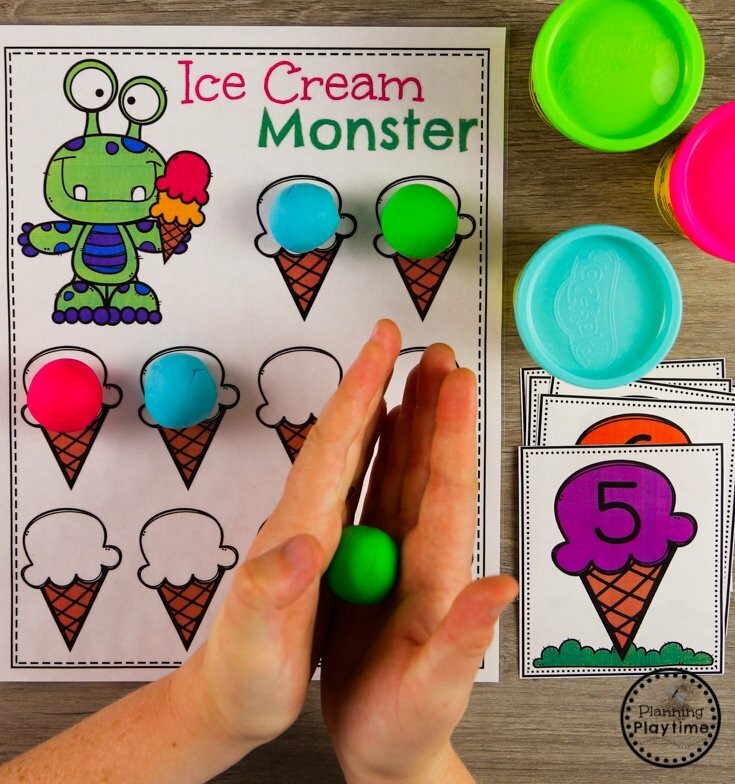 You can also modify it to be an early subtraction activity by having 10 scoops to start with, and then using a finger to squish each ice cream ball the monster has already eaten. Build your name in ice cream. That’s the dream, right? 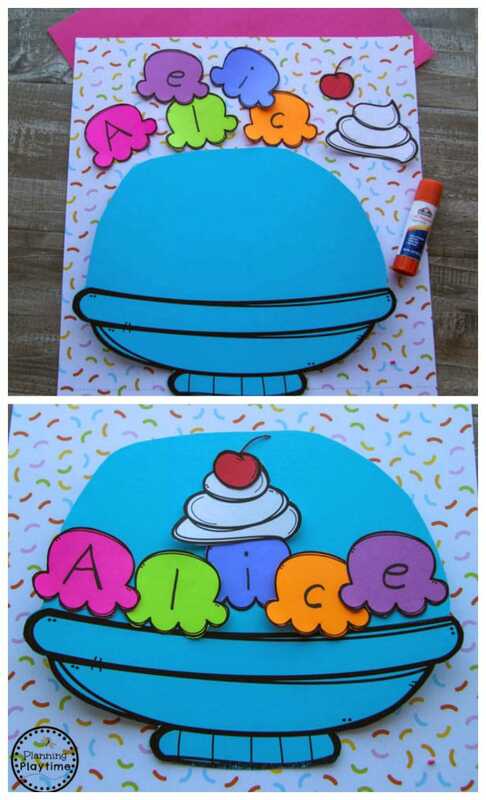 Kids will love this cute craft, and it can hang on the class bulletin board or fridge at home. 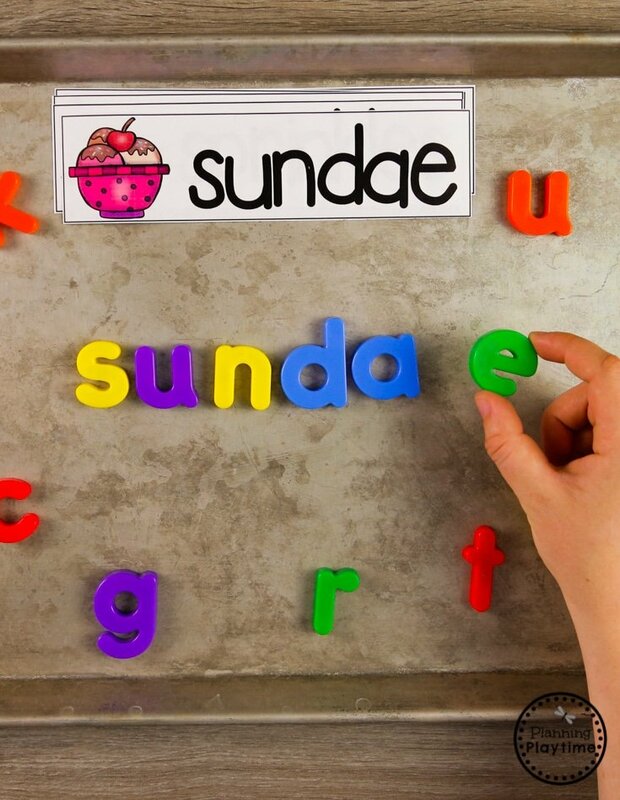 These ice cream cones have picture words, A-Z. 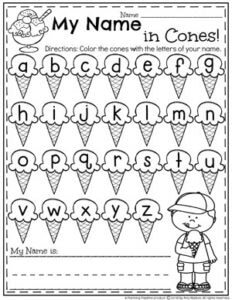 The kids get to figure out what the beginning sound is for each word, and place that letter on their cone. What better way to play in your ice cream theme than with and actual ice cream scoop? This activity was perfect with our giant pom poms. 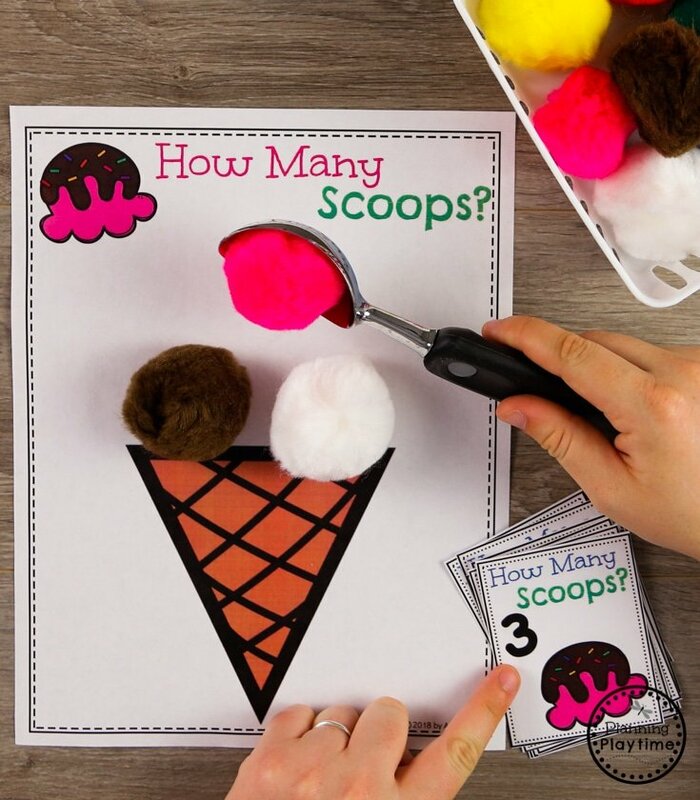 Kids can scoop and place their ice cream as they count. This might be extra fun if you had an old ice cream container to store the pom poms in. Rainbow Popsicles are one of my favorites. Here the kids get to put them together by completing these subitizing puzzles. 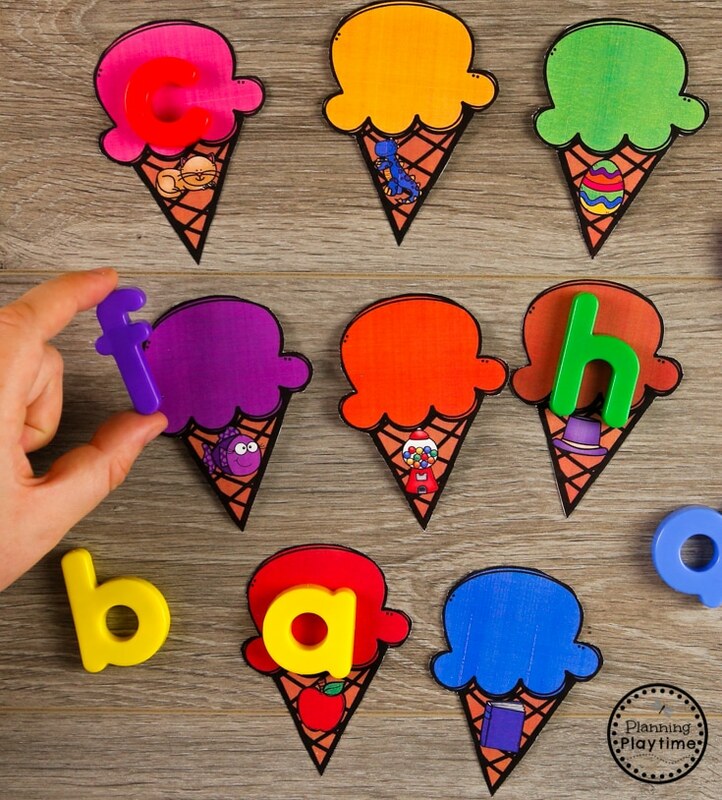 For this activity the kids get to work on building their language, one ice cream word at a time. We love using magnetic letters on a baking tray to build our words. 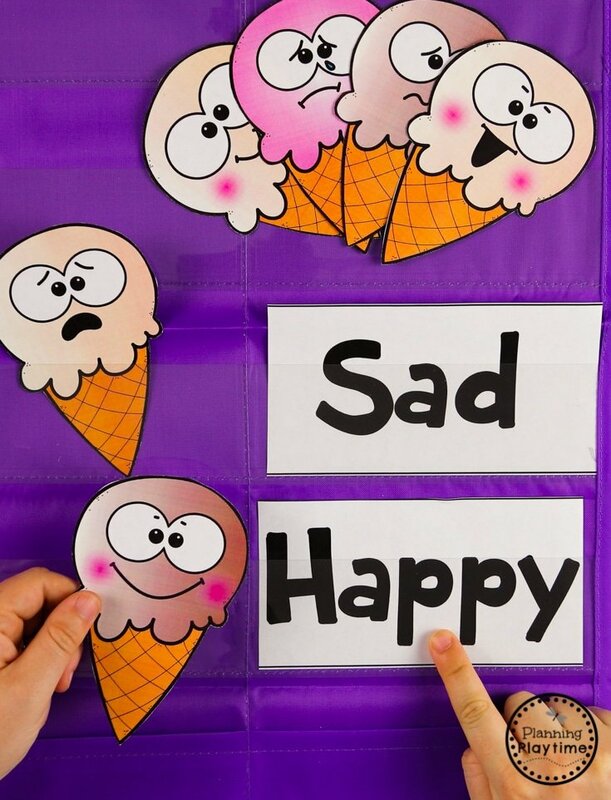 This activity is great for kids to talk about feelings and emotions. They also get to sort by category which is an early math skill for measurement and data. 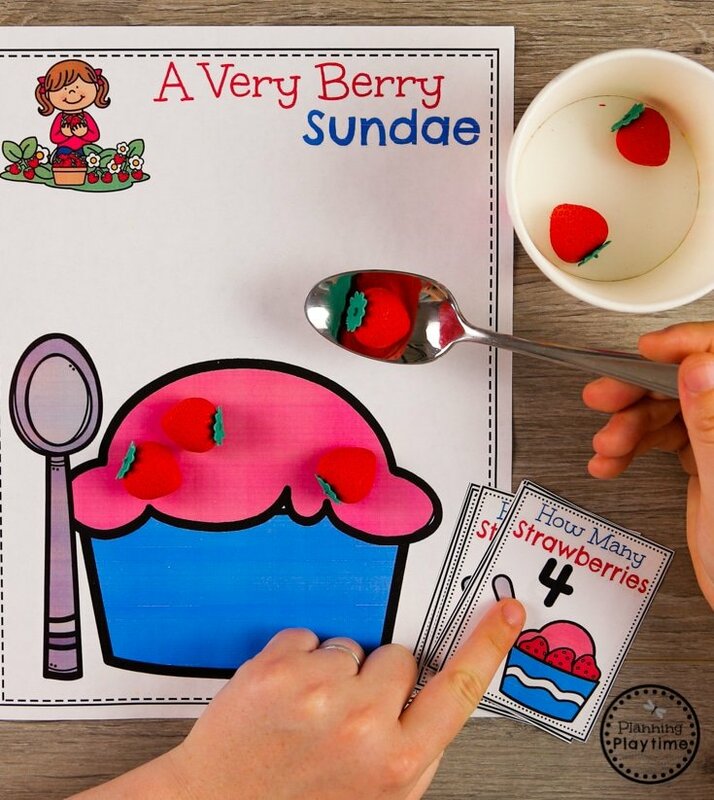 Make a yummy berry sundae by counting the correct number of strawberries onto the ice cream page. We used a spoon for this fine motor activity. 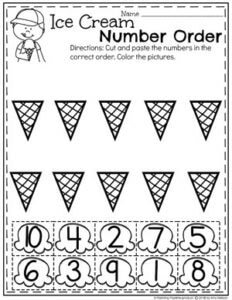 To complete this fun ice cream theme set, we’ve included some fun, no-prep preschool worksheets that can be used for extra practice. 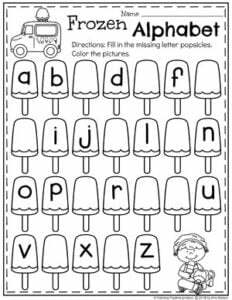 Children can work on tracing, counting, spelling their name and more. I love your set! I wish you had one for 1st Grade! !